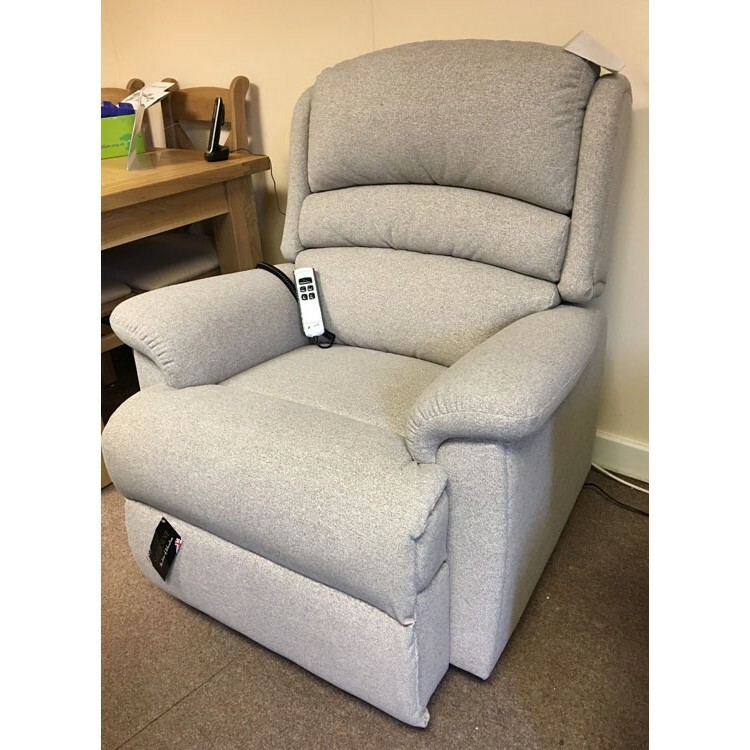 This is the Sherborne Upholstery Olivia model recliner with the dual motor lift & tilt option in a small size (model 1662) . 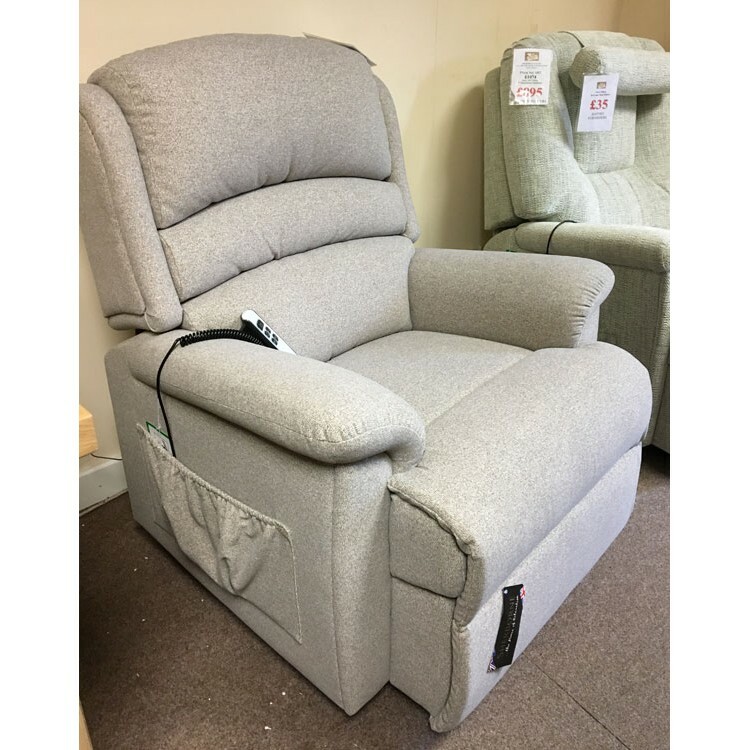 The fabric is called Atlantis Gray which is an Aquaclean fabric and we can offer quick delivery to your home. If you need a sample of the fabric posting to you please call us to request it. 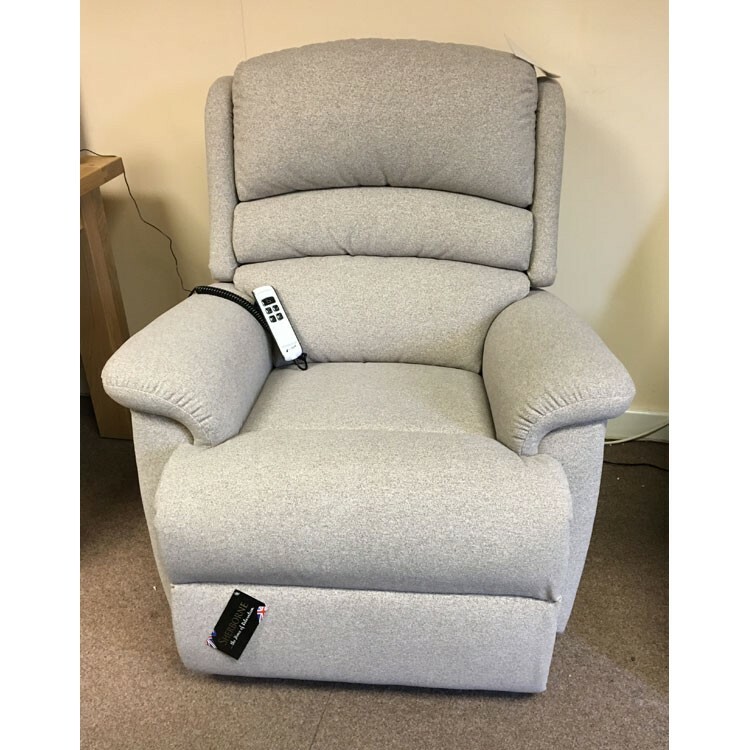 PLEASE NOTE THAT AS THIS IS A "RISER RECLINER" CHAIR IT IS RATED FOR ZERO VAT IF IT IS FOR A DISABLED PERSON, OR A PERSON WITH AN ONGOING CHRONIC MEDICAL CONDITION. 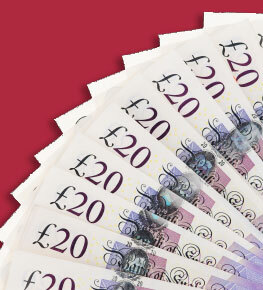 THIS PRICE SHOWN HERE IS THE ZERO VAT PRICE, IF YOU DO NOT QUALITY THEN WE WILL HAVE TO ADD THE 20% VAT CHARGE. PLEASE CALL US FOR FURNITURE DETAILS. 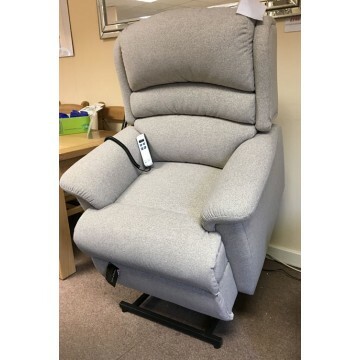 TEL 01283 740004.